It is full on here in the Grand Valley. Every spring, every mountain biker, runner, hiker and camping enthusiast from around the state and Utah flock to the Grand Junction/Fruita area to get a taste of our early summer like weather. The trails are dry, the days warm and nights are cool. 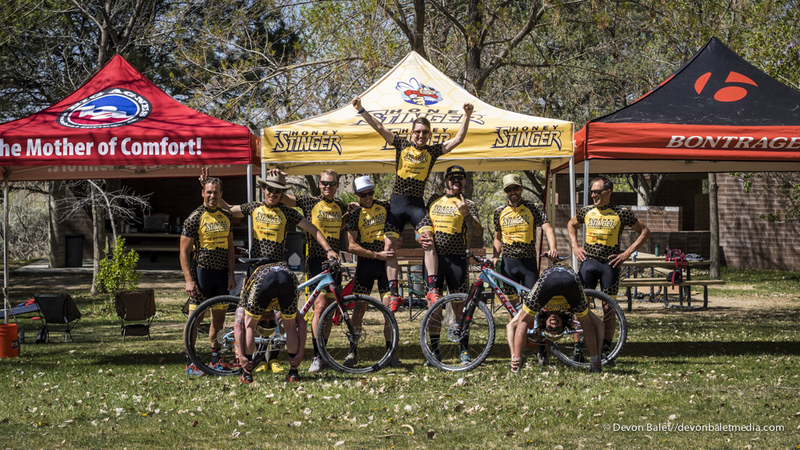 I got to spend this last weekend with the Honey Stinger mountain bike team at their annual spring team camp. I have been joining the crew now for four years, and every year is a blast. New and old friends get together for a weekend of camping and riding bikes. Here is a small taste of what we got ourselves into this last weekend. Recently I got the chance to take a trip to the big city of Chicago. My good friend and fellow photographer Max Leitner promised me a good time. A running shoot, yoga shoot and urban shoot all packed into one 24 hour period. Upon arrival in Chicago, I was quickly swept up by Max and we were off! After a quick relax at his house, we headed for the city and the first adventure of my quick trip. Picking up Max's friend, Saxon, we headed for Uptown and Montrose Point. This massive hook shaped walk way juts out into Lake Michigan. Being right on the water the temperatures dropped drastically once the sunset. After working some of the last light we headed back to return Saxon home and then continue on our adventures. That night, Max and I explored areas of downtown, finding amazing locations and spectacular vantage points. The fun went late into the night, my head finding a pillow just a few shorts hours before we planned to awake and do a sunrise yoga photo shoot! Rubbing the sleep from our eyes and gulping down coffee we again were headed for some Lake Side views to shoot with Sydney. At the last moment before the sun came up, the sky exploded with color. We quickly got as many shots as we could in the quickly fading colors before making our way to the ever popular Cloud Gate, or better known as the Chicago Bean. The Chicago Bean has become a landmark for the city, and Millennium Park is typically full of people wanting to get their own reflection photo. Lucky for us, at 7:30 am, not many people are out. As the sun slowly crept it's way higher into the sky we called it a morning. Looking back on those 12 hours, it was a blast. Something I hope to do again soon! Recently I had the honor to be asked to write a short essay for the new upcoming catalog for Big Agnes. Big Agnes is an outdoor company based in Steamboat, Colorado making some of the best tents, sleeping bags and down jackets in the business. I have been fortunate enough to have worked with them for over 5 years now. I hope you enjoy the words I made for their catalog. Throughout Dejay and my trip along the Colorado Trail we had been extremely lucky with the weather. Traveling from Durango to Denver, we joked that we were in a weather dougnut hole. Storms constantly surrounding us, but never on us. Unfortunately for us, that dougnut hole was going to come crashing down on us on our eleventh day. As the two of us made the final push towards Searle Pass outside of Copper, we seemed to have the power of the dougnut hole on our side for yet another day. Nearing the false summit we were unaware of the angry dragon of a storm waiting for us at the top. With our first views of the Ten Mile Range we were greeted with looming dark and angry clouds. All of the peaks across the valley were now coated in white and you could see the storm beginning to make its way across the valley towards us. Nearing the summit of the pass at 12,300 feet I jumped onto my bike and began pedaling with everything in my body. I look up to see the faint figure of Dejay jump on his bike and disappear over the summit. Hail was blowing in sideways hitting every millimeter of my side. A bolt of lightening just exploded on the open tundra no more then 50 feet to my left, my vision blurred from the blinding light. The next bolt hit behind me somewhere. So close that again my vision turned to a blank white momentarily. I kept pedaling as hard as I could. The only thing running through my head was to pedal harder, pedal faster. Finding the summit and leaving it behind, I continued chasing after Dejay who was a hundred feet below me, riding with the same fear I felt. After 5 or 6 lightening strikes within a very close distance we decided to take shelter. We were able to get just low enough to find some tundra brush to throw together an emergency shelter. A bush, my bike and a Fly Creek rainfly to provide protection from the pounding snow and hail. Thunder continued to boom all around us as we huddled together, protected by nothing but nylon. I knew we were not safe. I wondered if this might be the script of my life, where the story would end. Looking down at my backpack I think of what I have to aid in making it out of this situation. Zipping open a small packet reveals a fresh dark chocolate bar. Pulling it out I offer some up to Dejay who quickly declines as he is franticly digs in his backpack. Opening the chocolate I take a bite. I figured that if we did get struck, I would at least be enjoying life to the end. Luckily for us the lightening passed but the snow was only increasing in intensity. It was time to move! After about an hour of frightful riding through frigid temperatures and on wet and sloppy trails we made it to the safety of the Phillips 66 in Copper. A big thank you to our friend Sam for swooping us up from our wet and frozen hideout. It is always a pleasure to see your own images in print. The tangible nature with vibrant colors and detail. Mountain Flyer Magazine has one of the best print qualities in all action and adventure sport magazines, in my opinion. I am always stoked it see my shots spread across two pages within this magazine! If you can't find this magazine at your local bike shop, a subscription is reasonable and the quality is superb. 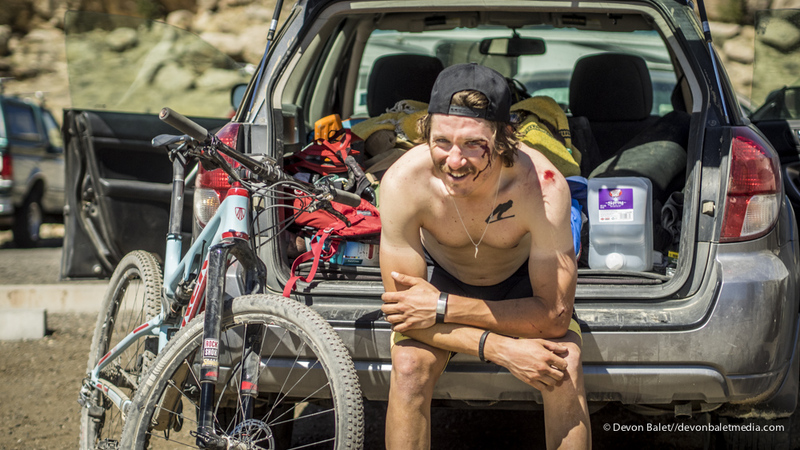 This shot of Dejay Birtch was taken during our attempt on the Colorado Trail, riding from Durango to Denver. We ended up getting shut down, Mother Nature taking the win. 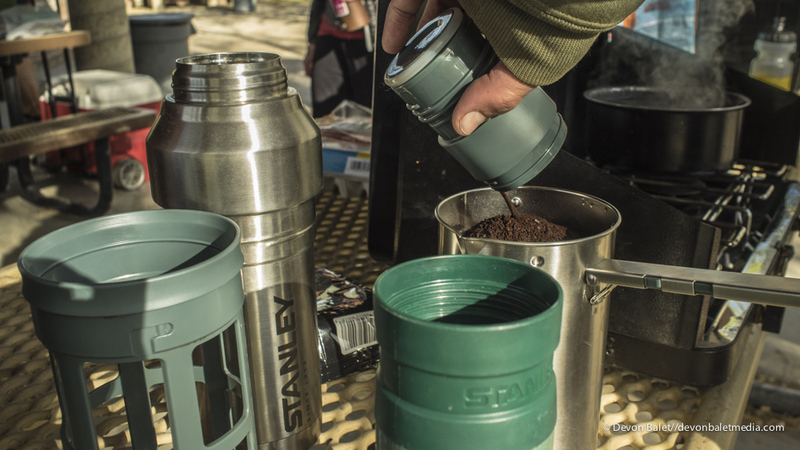 "The first few days of riding the Colorado Trail in the nontraditional direction from Durango to Denver are extremely difficult and full of climbing. But Segment 27 has some of the most stunning views in the San Juan Mountain. Here, a rider navigates a tricky section. Forget about feeling out of your head from the elevation- just keep it rubber side down." If you have ever seen a copy of The Ride Journal, you know how total rad this publication is. If you have never heard of it you can download past issues for free here. I have been fortunate to have images in one of their volumes. This magazine is not your typical cycling publication. It is a work of art and I highly recommend that any fan of bicycles and reading about great adventures and experiences involving these two wheel freedom machines should simply order a copy here. Excerpt from; "San Juan Huts with the Crack of Noon Club"
The rolling hills of Last Dollar Road were straight from a classic Larry McMurtry novel. At any moment I expected a horse riding cowboy to come over a gentle hill, gun holstered as he surveyed the land looking over his cattle while a dog ran barking the large animals into order. Massive snow capped peaks surrounded us with fields of wildflowers flowing down from the mountains with an occasional herd of cattle. Aside from a massive plow grading our road to a perfect buttery smoothness, we did not see a single other person out there. I recently received this amazing newsletter from the City of El Paso and Visit El Paso Tourism. 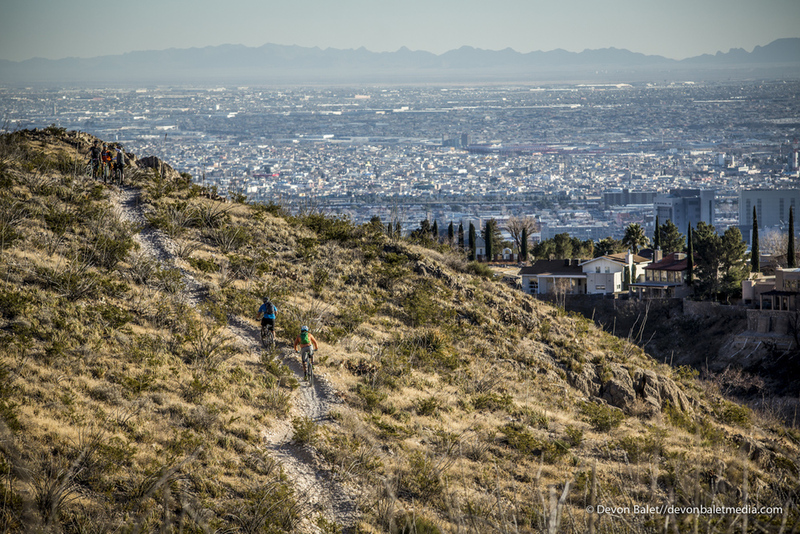 I am extremely excited to return to El Paso after such a successful trip earlier this year. 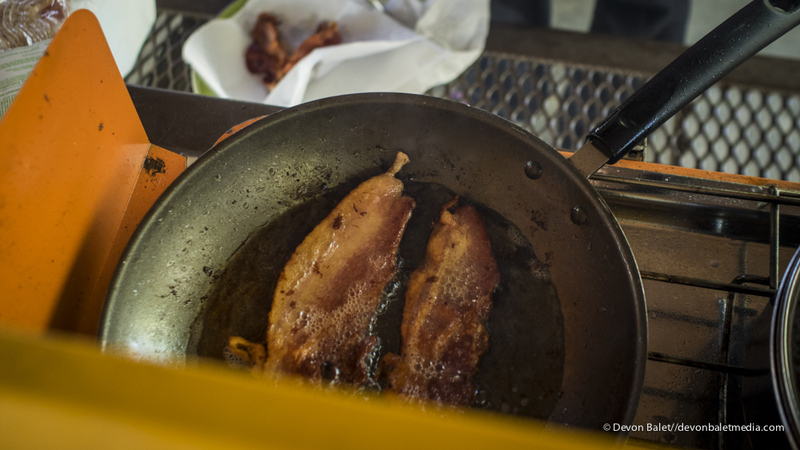 We are already forming plans for the trip next year and it will sure to be loads of fun! I first visited El Paso three years ago to photograph the El Paso Puzzler. That race made me fall in love the riding and the people of El Paso and has me coming back year after year. Check out the full Pinkbike Photo Epic here. I have had the great honor of working with Bern Unlimited, a helmet brand based outside of Boston, Massachusetts. This year I was given the assignment to photograph all cycling related images for their marketing team for 2014. Here is one ad for the Berkley and Watts helmet, two urban style lids which I shot in Los Angeles earlier in the summer. I am excited to say my partnership with Bern Unlimited is continuing into 2015! The annual Interbike Trade show is quickly approaching. With every year's show comes a new portfolio for myself. This year I opted to created a hardcover coffee table book. Take a peek here and feel free to leave a comment with your thoughts. I am very excited to release my new website, devonbaletmedia.com There has been a lot of work in the background for myself and Devon Balet Media. I am excited for the what the future holds and can't wait to see where the next few years will take me. Every year has built on the previous so the sky is the limit! The plan is to use this segment of the site to feature recent shoots and news for Devon Balet Media. 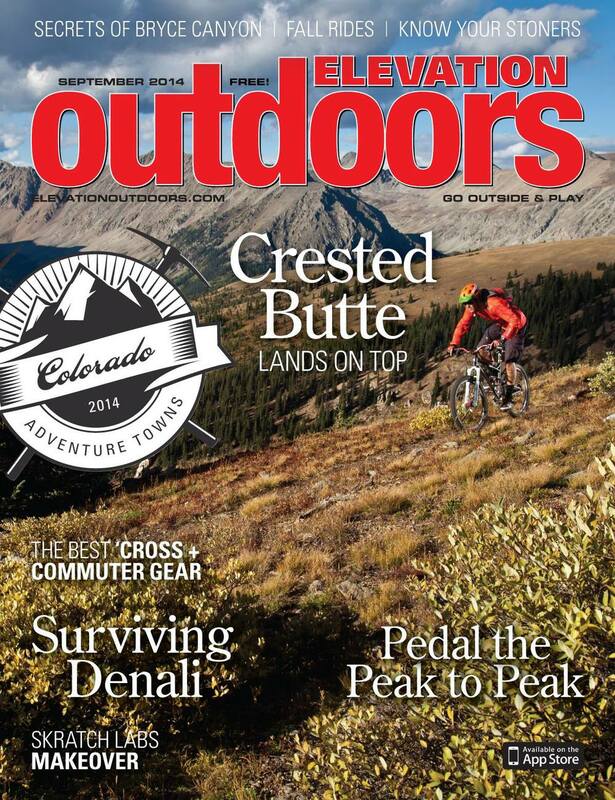 Just recently I got the exciting news that I landed the cover of Elevation Outdoors Magazine, a super cool, independent and free publication out of Boulder, CO. This cover marks the 19th of my career. At a young age I dreamt of becoming a freelance adventure photographer and I set the personal goal to get 50 covers before I turn the age of 50. I've got a long ways to go yet!